The Olympic games as we know them are an all-inclusive celebration of athletic achievement. But they began in ancient times as a strictly exclusive festival. In addition to having Greek origin and being freeborn, one other criterion dictated athlete participation: being male. Those days are long, long gone. This is the era of the female athlete—in both talent and popularity. On Long Island, three women have catapulted themselves to the top of their sports and stand a chance to compete at the 2016 Olympic Games in Rio de Janeiro. Sue Bird tore up playground basketball courts in Syosset before becoming one of the most accomplished female basketball players in history. 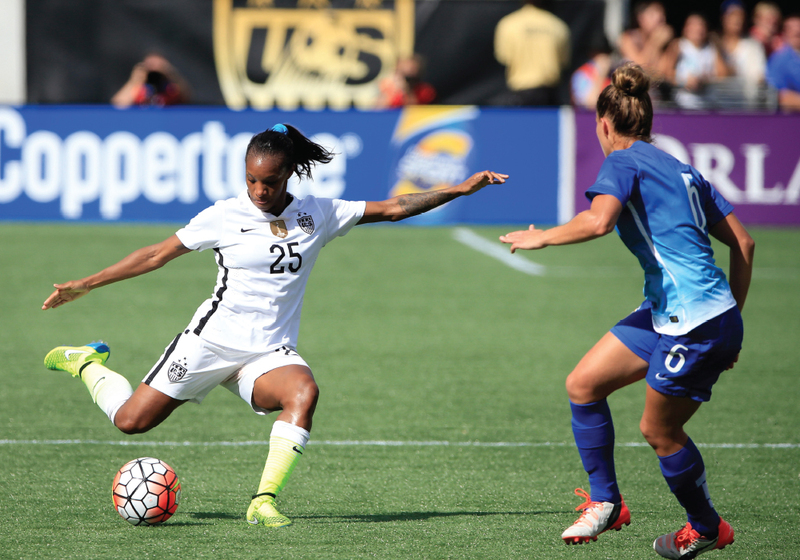 Crystal Dunn re-wrote the record book as a soccer phenom at South Side High School in Rockville Centre. And Maria Michta-Coffey, who took up the unique discipline of race walking at Sachem High School simply to stay in shape, is now considered the premier American female athlete in the sport. 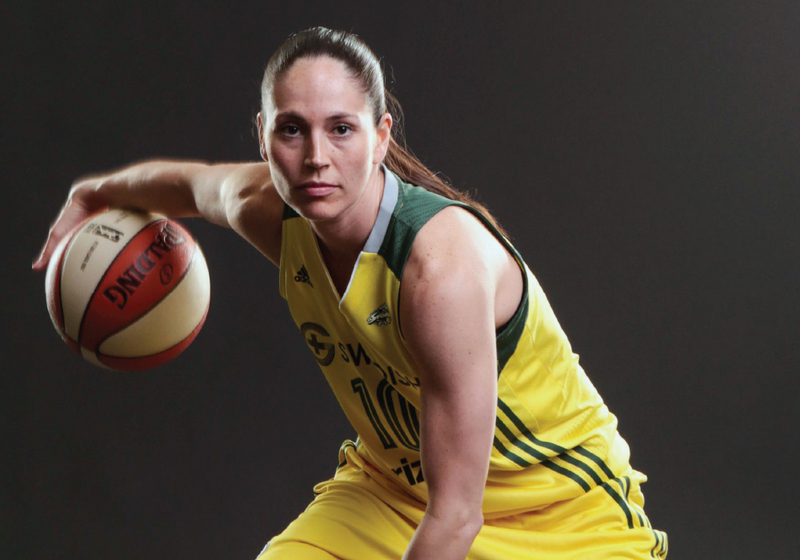 When it comes to the Olympics, Sue Bird only knows success. In fact, she only knows perfection. In her three trips to the games with US Women’s Basketball, the team didn’t lose a single game en route to capturing three gold medals. But the Olympics are just one chapter in the storied career of the Syosset native who won two national championships at UConn and two WNBA titles with the Seattle Storm. In April, Bird was named to the 2016 Olympic team, giving her the chance to win her fourth gold medal, an accomplishment only two basketball players, male or female, have done before. How will your previous Olympic experience help you this summer? Fortunately, on my first three attempts we got a gold medal. That’s always the number one goal. We’re trying to go there and win the whole thing. But overall, I did have a really fun, satisfying experience both on and off the court…The team that we have is full of Olympic experience—we don’t get the same training time that other countries do, so we really have to rely on that experience. From a point guard standpoint, it helps to have players who have been there and done that and know what it takes. Does the team’s past success add any more pressure? Every time we’ve gone to the Olympics, the bull’s-eye has been on our back. It’s not something that’s foreign to us. And it’s not something that’s easy. Every single team wants to beat us and every single team plays their best game against us. It’s on us to respond. The WNBA is in its 20th season. What are your thoughts on the milestone and the growth of women’s professional sports? Women’s sports in general have become more popular. As far as the WNBA goes, we’re the one professional women’s league that has survived. Not only have we survived, we’ve grown. We’ve hit year 20 now. Obviously there’s still much more to do and to improve on, but the one thing you can say without a doubt is that our league is continually getting better from a talent standpoint. We’ll grow in the marketing area, the sponsorship area, the TV viewership and all that stuff. But as long as the basketball and the product itself continue to get better, we’ll be okay. Prior to finishing your prep career at Christ the King High School in Queens, what was life like growing up on Long Island on and off the court? It’s the place that I consider home. In Syosset, there was a court right down the street from where I grew up, I could go play basketball anytime I wanted. Me and the boys in the neighborhood could always go down there. My two years of high school ball were fun as well. My team wasn’t necessarily the best but we had a little bit of talent and we made the most of it and we always had fun doing it. I have a lot of fond memories of that time of my life. When it comes to soccer, Crystal Dunn has won just about everything: three high school state championships, a U-20 World Cup, the Hermann trophy (given to a college’s best soccer player), etc. But last summer, everything written about her centered on what she had lost: a spot on the World Cup roster. Dunn was one of the final players cut from the team that went on to win the USA’s first world title since 1999. Instead of allowing the demotion to deter her, Dunn assembled the best year of her soccer life, leading the National Women’s Soccer League in scoring en route to being named MVP. This prompted a quick return to the national team. Her performance during the first half of 2016—in which she was tied for the team lead in goals through May—put her in prime position to make the Olympics, where the women’s team will look to collect its fourth straight gold medal. It’s a weird feeling when you don’t know how to feel. You want to be sad but at the same time I don’t look at 2015 as a failure. All in all, I stepped away being the MVP and the league’s top goal scorer. It’s things like that that allow me not to hang my head. It’s hard for me to feel like it was a disappointing year. How did growing up on Long Island shape your game? The saying “if you could survive New York, you could survive everywhere,” is so true…everything is fast paced and you meet so many new people. As far as soccer, I was very fortunate. I basically went to school with everyone on my club team, which was an awesome environment to be in. It really shaped who I am as a person and a player because even at that stage, I was playing multiple positions. It was almost like I was raised to be in the position that I’m in today. It was a really great place to get my bearings. You play for the Washington Spirit in the NWSL. How have you seen that league grow over the years? I remember being in college when there was no league to look forward to after school, so I was kind of like, “Oh, it looks like it’s overseas for me.” The NWSL started my junior year and I was really excited about it. For it to be still going on and so stable right now, it’s a good feeling. Adding a new team this season shows just how much this league has grown. It makes me feel like women’s soccer has come a long way, which it has. I’m super excited about it. Maria Michta-Coffey has a problem: she can’t stop moving. Not on the track, where she is an American record-holding race walker, or off it, where she has delved into ambitious educational endeavors. Two years after competing in the London Olympics, Michta-Coffey earned her Ph.D. in Biomedical Sciences. Now, when not training for race walking (what exactly is that? ), you can find her at Suffolk Community College where she is an adjunct professor. This summer, Michta-Coffey aims for a return trip to the Olympics…before she walks right back into the classroom. 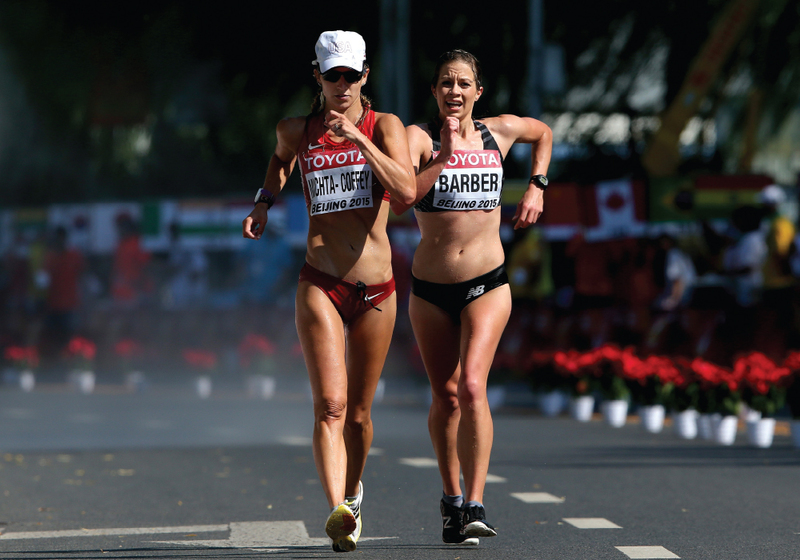 What differentiates race walking from running? There are two rules: one is that you maintain contact with the ground and the other is that your knee stays straight until it passes underneath you, so you land with your heel down and toe up. New York has race walking in the high school program. I went out for winter track just to stay in shape between the soccer and lacrosse seasons. I happened to naturally be good biomechanically at race walking, so they asked me if I wanted to do it. One thing led to another, I qualified for nationals in high school then just took off with it. So your Long Island upbringing played a role in your career? If I hadn’t grown up on Long Island, I might not have been exposed to race walking, at least not at that age or maybe never at all. A lot of Team USA’s top race walking athletes come from New York and specifically Long Island. Last year for our trip to Chile for the Pan Am prep, we had three Long Islanders competing. What was the 2012 experience like? 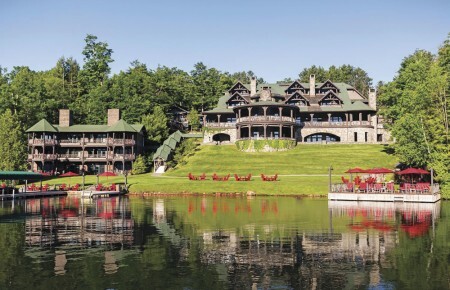 It was everything I could have hoped for and more—literally a dream come true. I got to go to the Opening Ceremonies and spent the next week going to as many events as I could. Then I walked a lifetime best, I took over two minutes off my personal best time. My whole family was there. Every time I saw them I was beaming because I was enjoying every moment of it so much. To end such a big race with such a huge improvement—I was seeded something like 61st but finished 29th—was just incredible. I couldn’t have asked for anything more. What would it mean to go in 2016? I told myself that I was going to retire after 2012 but I realized I’m addicted to training and racing. That’s just who I am and I love it too much. To be able to go back would be such an honor. I would love more than anything to represent our country again on the biggest stage. How do you balance your scientific and academic career with your athletic one? In the Olympic year, I wanted to have no regrets, so I took a leave of absence. It was a perfect balance of knowing that I had done everything I needed to be prepared athletically but was also still moving my career forward. In 2014 when I handed in my thesis, I said, “I’m going to focus on the 2016 Olympics now full-time.” But I couldn’t walk away from science fully either because I was too bored being a full-time athlete. I started adjuncting at Suffolk Community College this past fall. To be a professor would be the ultimate goal.